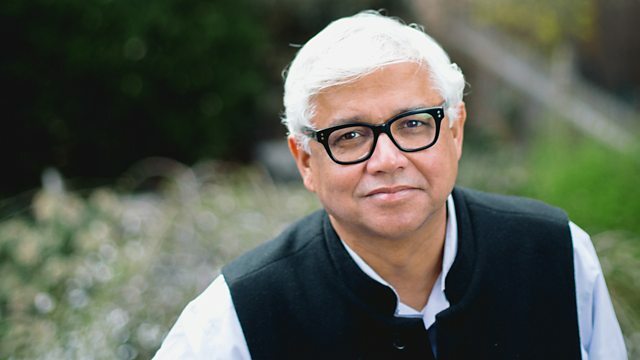 As part of the BBC's India season, Michael Berkeley's guest is writer Amitav Ghosh. His choices include music from India, China, Mauritius and 18th-century England. Amitav Ghosh is a writer with a worldwide reach. Born in Calcutta, educated in Delhi, Oxford and Alexandria, he lives now between New York and Goa; his books have sold over 3 million copies, and have been translated into 33 languages. His books have won awards in Canada, Italy, France and Burma, but his greatest readership is in India and he has been awarded the Padma Shri, one of India's highest honours, by the President of India. His new novel Flood of Fire is his tenth, and completes his Ibis trilogy; the setting is the First Opium War in 1839, and it follows a cast of characters from India, China and Britain, as they are caught up in that war. In Private Passions he talks to Michael Berkeley about his childhood by the water in Bengal, and how the presence of the sea has influenced his writing. He admits that there is some truth in the charge that he is in essence a Bengali writer, writing in English. Amitav Ghosh chooses a highly original playlist reflecting the very different cultures which have been his creative influences. He includes a haunting Bengali boat song, a Hindu dance, and songs from China and Mauritius. He unearths a fascinating historical curiosity: perhaps the first ever example of East-West fusion, a version of 'Hindoo airs' adapted in the 18th century for English amateur musicians nostalgic for their days in India. And he celebrates the music of global connectedness, with a collaboration between Philip Glass and Ravi Shankar. Finally he muses on the notion of 'home', and where he would live if he could only choose one place. Performer: Benjamin Britten. Music Arranger: Benjamin Britten. Singer: Peter Pears. Performer: Shahid Parvez. Performer: Bikram Ghosh. Performer: Yo‐Yo Ma. Ensemble: Silk Road Ensemble. Michael Berkeley introduces memorable interviews from Private Passions' archives.